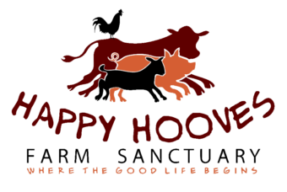 Sales position that offers income for you and raises funds for Happy Hooves Farm Sanctuary. ADOPTED! Got Room for a TurkeyDurky? Rehomed - Got room for Gregory? WITHDRAWN - Where can this gorgeous rooster Goku? REHOMED by owner! Indomitable Wilburforce... he's some pig! WITHDRAWN- Misty's feeling blue. She needs a new friend - maybe you?